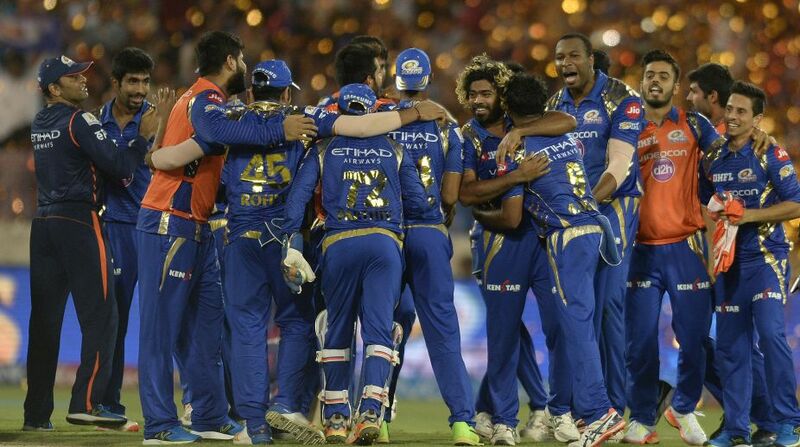 Mumbai Indians defeated Rising Pune Supergiant (RPS) in a low-scoring final to win the Indian Premier League (IPL) title here on Sunday. This is Mumbai's third IPL title. Mumbai's top and middle order batsmen put up a horrific show against the disciplined bowling from Pune and the former were left reeling at 79/7 in the 15th over. All-rounder Krunal Pandya's 47 off 38 deliveries pulled Mumbai out of the hole. Mumbai's batting ran into further trouble when Rohit and Pollard (7) fell to Australian leg-spinner Zampa (2/32) in the 11th over to be left at 65/5. Rohit pulled a half-pitched ball to Thakur at deep mid-wicket, while Pollard offered an easy catch to pouch for Tiwary at long-on.